Web Wise Words – Corsair M65 RGB Elite Gaming Mouse Review. Mar 29, 2019Faustina JonesTechComments Off on Corsair M65 RGB Elite Gaming Mouse Review. 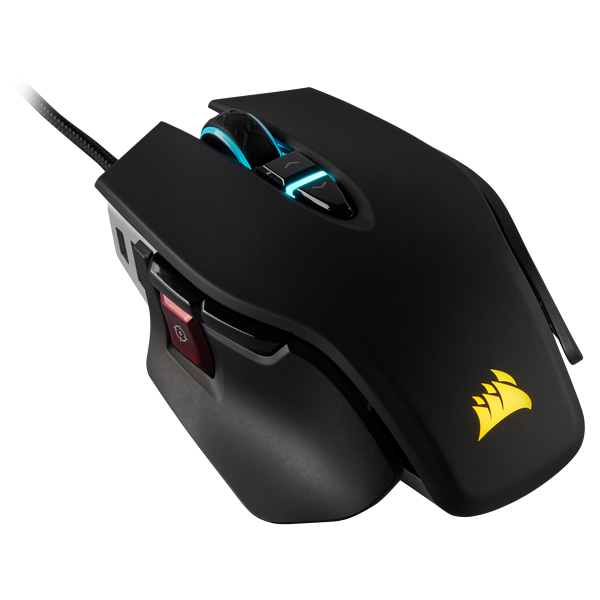 A follow up to Corsair M65 Pro; Corsair M65 RGB Elite Gaming Mouse is a new model designed for FPS gamers. This mouse has solid build quality, comes with a weight tuning system, and is averagely priced at $59.99. Matched with its predecessor, Corsair M65 RGB Elite has a more accurate sensor, and weighs less. This model’s side buttons are also redesigned and have an improved layout. Read on to discover more features of this new gaming mouse. At first glance, Corsair M65 RGB Elite is identical to M65 Pro. The two have two-zone lighting and a narrow shape that is well versed for right-hand claw grips. The two also have 8 programmable buttons. Underneath the two RBG mice are five glide pads, three removable weights, and an aluminum frame. 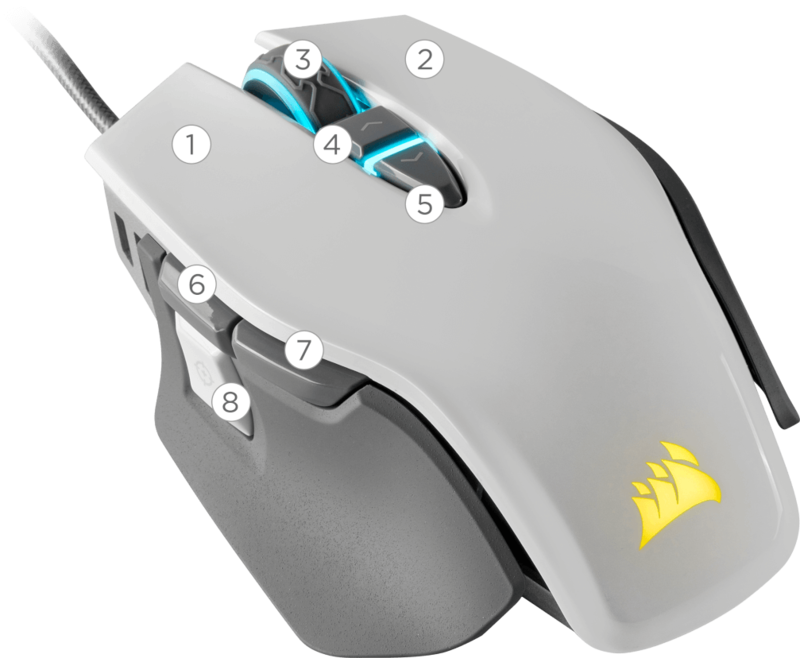 If you inspect the mouse more closely, you will find out that the LED indicator between top buttons is not a target icon, and also note that Corsair branding is removed from the mouse’s left button. On the thumb side of this mouse, you will also find out that the plastic cover ends abruptly past the side buttons to expose the aluminum frame underneath. The three differences between the Pro and Elite version are purely cosmetic, but there are also other 3 details that completely change the manner in which the mouse performs and feels. Corsair M65 RGB Elite boasts of an 18,000 DPI optical sensor, which is among the best DPI counts in the gaming mice market. This sensitivity is 50% more precise than M65 Pro RGB as well as its 12,000 DPI sensor. If you are a big screen and high-resolution gamer, you most probably will appreciate this added sensitivity, even though nobody, in reality, requires the 18,000 DPI. The side buttons of Corsair M65 RGB Elite have been redesigned. Both the forward and back side buttons of this model are bigger, and this makes engaging them easier. Additionally, the gap between the side and sniper button of this follow up mouse has been removed. The sniper button’s top now touches the bottom of the mouse’s forward button. These three button’s tighter grouping gives an improved layout since your thumb doesn’t need to reach far to seek the sniper button, you are allowed to find and engage it swiftly. Corsair M65 RGB Elite gaming mouse boasts of a durable aluminum frame covered by a plastic top piece with black and white color choices. Its sides are textured plastic and have a gray color. Like other Corsair mice, the Corsair M65 RGB Elite gaming mouse works with the Corsair iCUE software. This software is well designed and easy to use for a wide range of applications. First, you can change DPI settings of your mouse with this software. The two buttons next to the mouse’s scroll wheel are meant to help you change DPI settings from 100 to 18,000 DPI. You can program a color of light for each between these DPI buttons to enable you to keep track of the active setting. There is also a sniper setting that’s designed to be set at a low DPI for accurate slow movements. You can use this to line up a sniper scope’s kill shot. You can also use the iCUE software to actions like macros, do surface calibration for better tracking and aiming, and as well enable angle shipping for better tracking in a straight line. This software will also be handy when customizing light effects of this mouse. Additionally, iCUE allows you to develop and save multiple profiles. This Elite Mouse comes with onboard storage, and you can hence take a profile of your macros, your lighting and any other settings without the need for installing iCUE on another computer. With an 18,000 DPI sensor, 3 weights, 8 programmable buttons, 2 color options, and 2 color zones, Corsair M65 RGB Elite is undeniably a useful gaming mouse. The mouse’s price too is fair, and we thus find it reasonable to recommend it to FPS gamers. If you want a more affordable mouse than this though, we suggest you check out on Logitech g203 Prodigy.